WorldClassRoom FAQs - How will I know if a student drops or withdraws from the course? How will I know if a student drops or withdraws from the course? 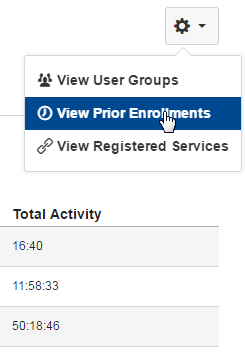 You can view current enrollments in your course through the People tool. 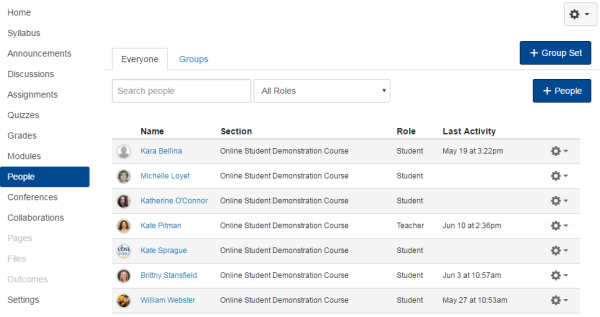 When a student drops or withdraws from a course, his or her name disappears from the People tool. Remember that it takes up to 24 hours for enrollment changes to occur in Canvas. If a student reports that he or she has dropped, withdrawn, or re-enrolled in a course, you may not see the name disappear or reappear in the Grades tool for up to 24 hours. For the most up-to-date enrollment information, access your Class List through the Connections Faculty tab. 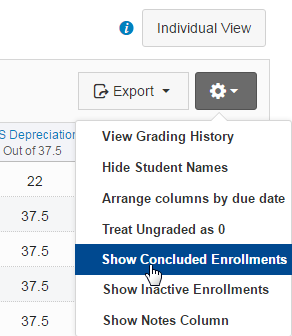 The student's name can be visible in the Grades tool if you select the option "Show Concluded Enrollments"
Whether the student drops or withdraws, their contributions to Discussions, Assignments, or Quizzes should remain intact within the course for archival purposes. Also, whether dropped or withdrawn, all student information is archived and reappears if the student is re-enrolled in your section during the term.